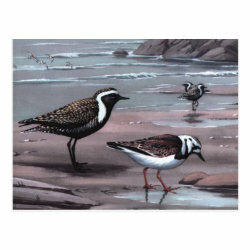 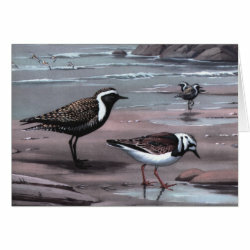 This fine shore-scene illustration of a Golden Plover and Ruddy Turnstone on the beach is by Chicago artist Walter A. Weber. 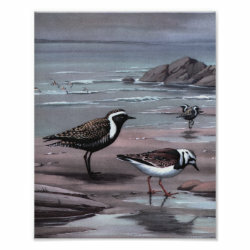 The hues in this More... gorgeous reproduced painting have been desaturated for a vintage look. 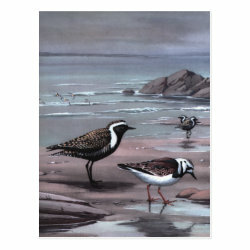 This illustrated painting of migratory shorebirds is a perfect for anyone that loves these beautiful feathered creatures!